12.10.2012 (Hvino News). Last July Hvino News published results of first media rating of Georgian wine companies, prepared by Artenom Georgia Consulting (AGC). According to our media rating, the leaders in media coverage were Tbilvino (1st place), Shuchmann Wines and Teliani Valley (sharing 2nd place). Our media rating was based on number of mentions in mass media, as monitored by Hvino News. For details, click here. AGC continues its marketing and media research in the wine industry sector, and constantly develops more complex analytic instruments. 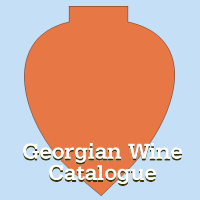 In recent months AGC has conducted a series of "Media Audits" of 14 Georgian wine making companies. 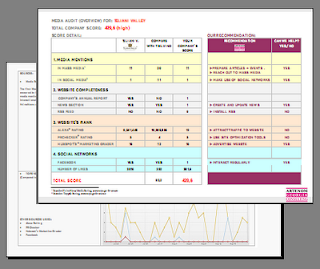 Media Audits are individual analytic reports. They consider many factors, including frequency of mentions both in mass media and in social networks, popularity of company's website, and other criteria. Our Media Audits also take into account ratings provided by other independent sources, such as Alexa, Hubspot's Marketing Grader and others. Also, Media Audits consider completeness of website, for example presence of fresh news updates and availability of company's annual report from the website. Presence of company's Facebook page and its popularity (number of likes) are also taken into account, because social networks now play a significant role in overall media and marketing activity of businesses. All these factors are integrated into Media Audit Score, which was calculated according to our formula for each company. Among the 14 Georgian wine companies, the highest Media Audit Score belongs to Sarajishvili Company. Our sincere congratulations go to Sarajishvili's management and PR team for highly successful media work! To large extent, Sarajushvili's leading position is depends on its excellent popularity in Facebook.The table above shows the positions of other wine companies. Media Audit Score is helpful for a more exact comparison of companies' media behavior. For each company, the detailed Media Audit is a useful independent tool, because it provides a deeper understanding of stronger and weaker points in company's media activity . It lists recommendations how to use more efficiently various media channels - such as media articles, corporate website, news section, social networks, and other components of media and marketing strategy. AGC accepts orders for independent Media Audits, which can be prepared for companies from any business sector. Artenom Consulting opened this blog to publish and re-post articles by our experts related to Georgia and South Caucasus. We welcome comments, questions, and all feedback. Artenom Consulting is independent consulting agency. © 2012 Copyright Artenom Georgia Consulting (AGC) and respective authors and source media mentioned. Powered by Blogger.